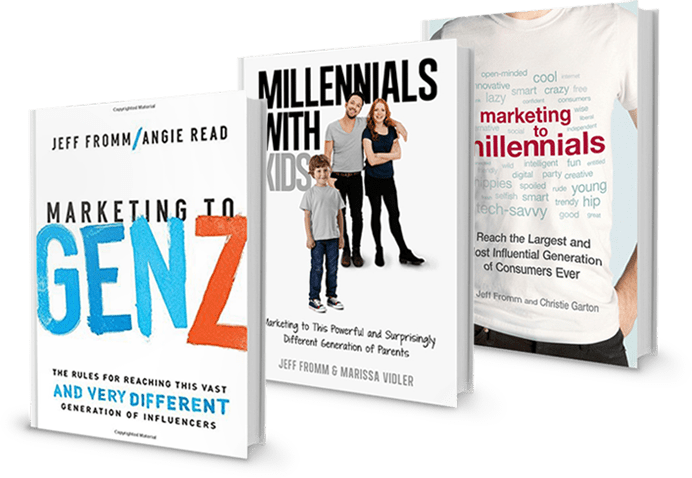 Jeff Fromm is fast-paced, funny, and full of insights for audiences who need to understand the world’s two youngest generations – millennials and Gen Z – and their impact on the consumer marketplace and older generations. His three books and more than 500 keynote speeches on six continents establish him as one of the world’s leading experts on youth marketing. Based on quantitative and qualitative research, Jeff’s speeches are thought-provoking and entertaining. He ensures his audiences come away with actionable insights that are immediately actionable. Like what you hear and want to learn more? Jeff makes himself available for follow-up discussions that can lead to business partnerships. Jeff has spoken on every continent in the world, except Antarctica…but maybe one day! If you are interested in reaching the next generation of consumers and learning how to drive profit through the future trends of Millennials and Genz, look no further. Jeff Fromm has written several of the most enlightening books on the subject matter as one of the most respected researchers in the industry.